At about 12:30 p.m., a CHP officer attempted to stop a driver who was reportedly speeding and weaving in and out of lanes on southbound Highway 101 in North County. Initially, the woman pulled into the median at Traffic Way in Atascadero when the officer tried to stop her. But, when the officer tried to contact the woman, she drove away. 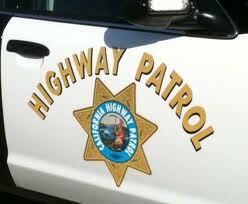 The woman hit speeds of more than 100 mph at times and made unsafe lane changes while fleeing the CHP. Eventually, officers stopped the driver by spiking one of her tires just south of Highway 58. Officers arrested 42-year-old Ariana Danica Joyce for felony evading and driving without a license and booked her into the San Luis Obispo County Jail with her bail set at $50,000.